Brulee loves this little scratcher box we won from Chewy.com several months ago on a Twitter Chat. The colors weren't good in the photo, so we went to LunaPic and used the Sketch 2 effect. Mom Paula says Brulee looks like the "Beast" from Beauty and the Beast in this photo. MOL! 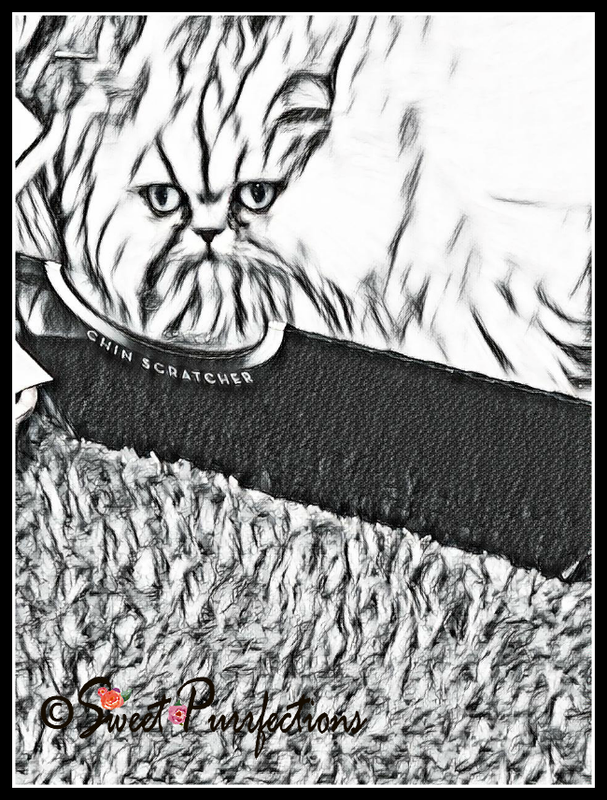 You can see more Caturday Art creations by visiting Athena Goddess Wise Kitty. That is an interesting effect, very cool. She does kinda look like the beast...but a beautiful one. That's a cool one pretty Brulee!